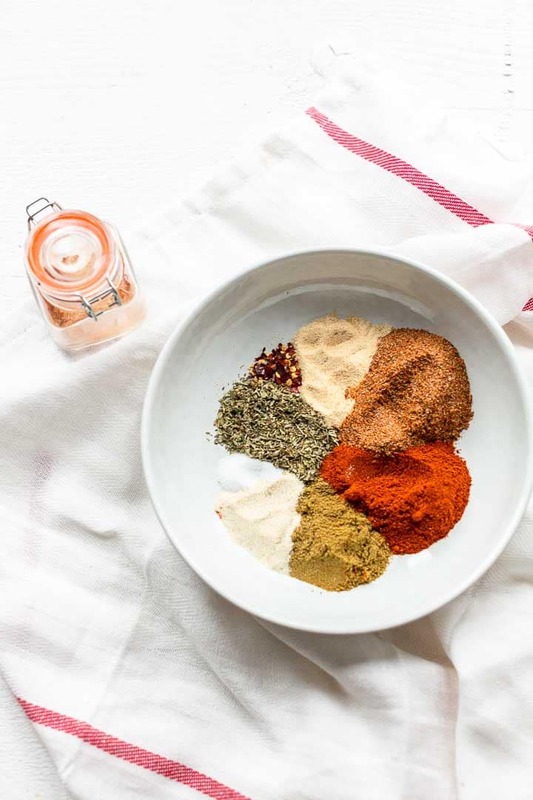 You may think that Mexican seasoning is the same as taco seasoning but that is not the case. It is all about the composition of the spices. Further a couple of key ingredients differ in this recipe. 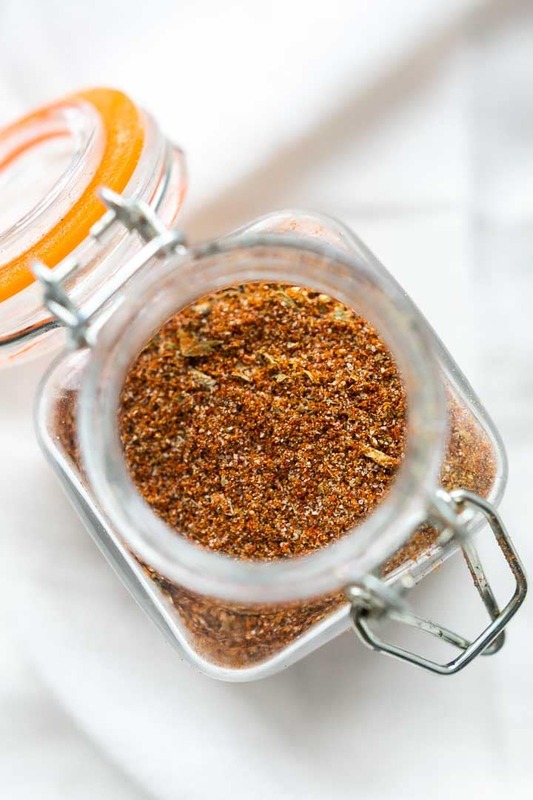 Taco seasoning is usually milder than this recipe that contains a little more heat due to the ancho powder and chipotle chile pepper. Ancho powder is made from poblano peppers, mild in heat with a bit of smokey flavor. The real heat in this recipe comes from the dried chile flakes. But what if you do not have ancho powder available? What is your best substitute? The best choice is to use sweet smokey paprika powder instead. 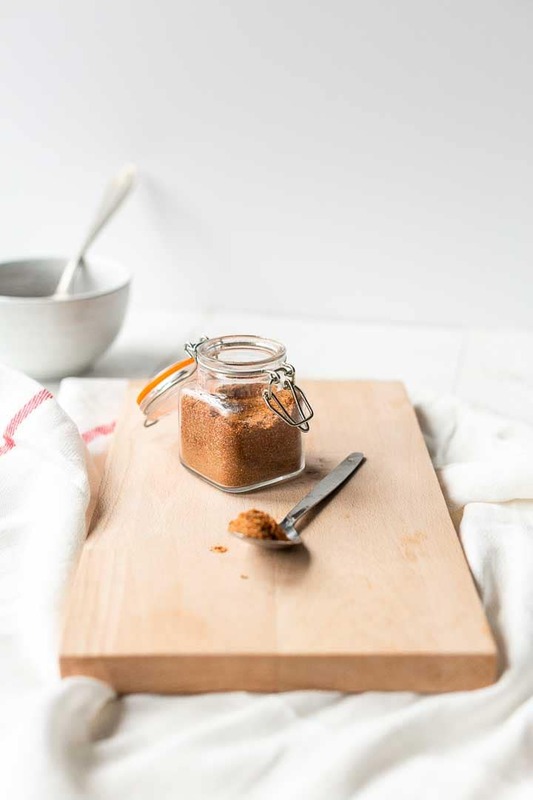 This recipe contains a lot of spices so it is necessary to measure every single one correctly. When you compare this recipe to e.g. 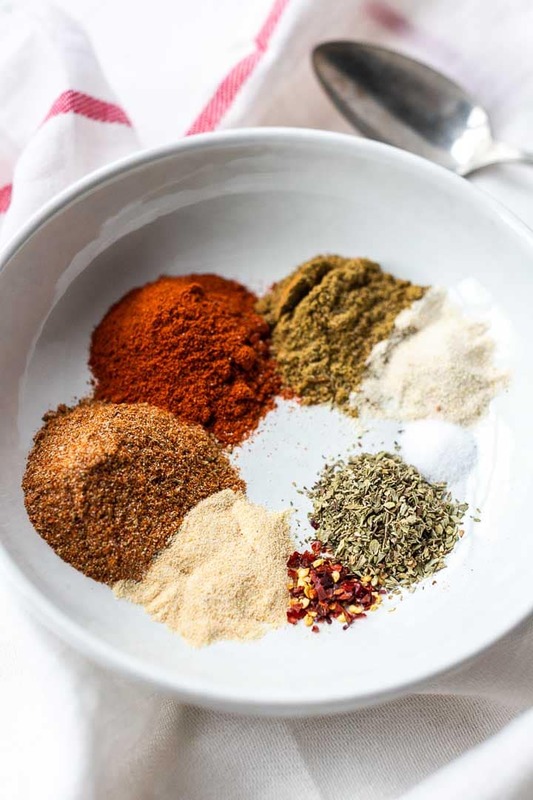 taco seasoning spice mix you will see that this recipe contains less cumin. 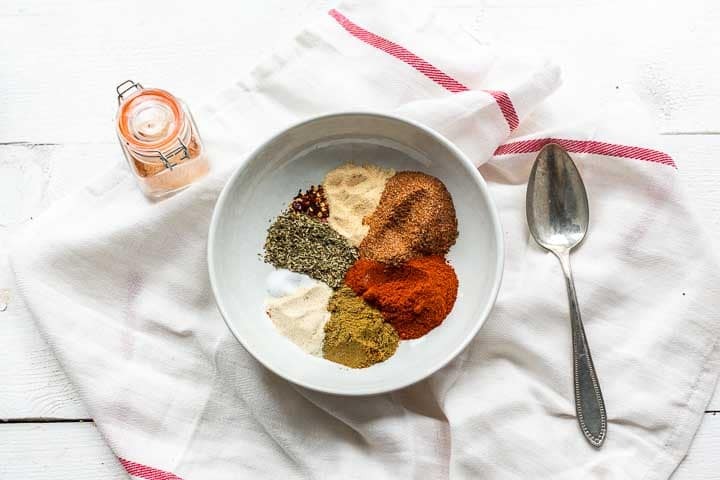 Cumin can be an overpowering spice and as this is an all round spice mix you want all the ingredients to complement each other instead of overpowering the flavor. Measure the spices and put it in a big mixing bowl. 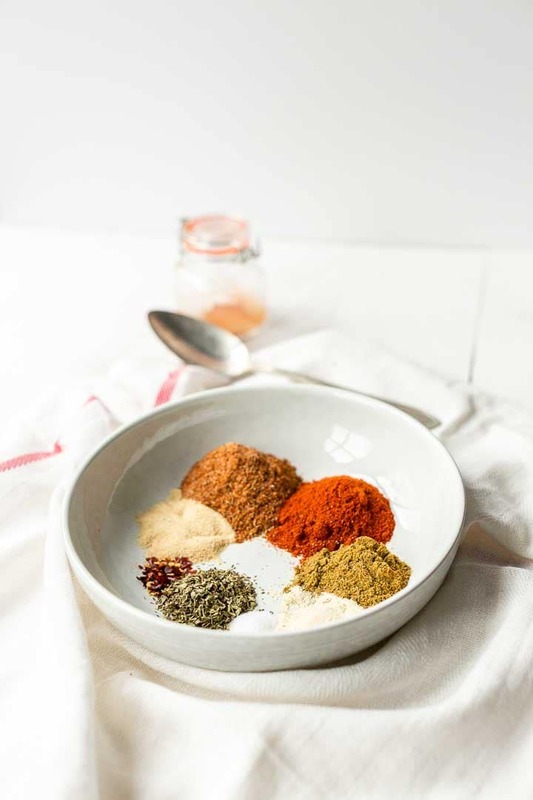 Be sure to stir the spices for at least a minute to make sure that all the ingredients are evenly distributed in your Mexican seasoning. 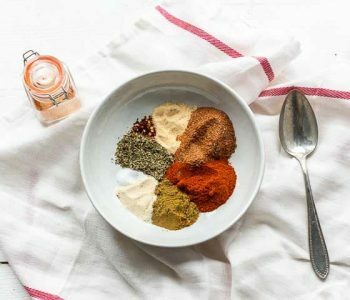 You can test the flavor of your spice blend and adjust to your tast. Is the seasoning to hot reduce the chipotle powder. Want more smokey flavor add more ancho or sweet smokey paprika powder. 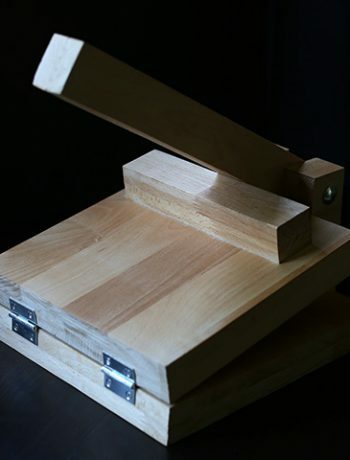 When using it in your recipe start with a small amount and add more until you have the right combination. I use about 1 tablespoon in my recipes but if you are not certain how much heat you can take start with half a tablespoon. I hope you love this Mexican spice blend as much as I do. Have fun hand blending this Mexican seasoning! 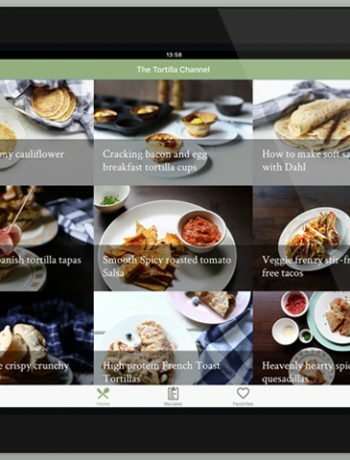 Made a recipe tag @thetortillachannel and PIN on Pinterest. 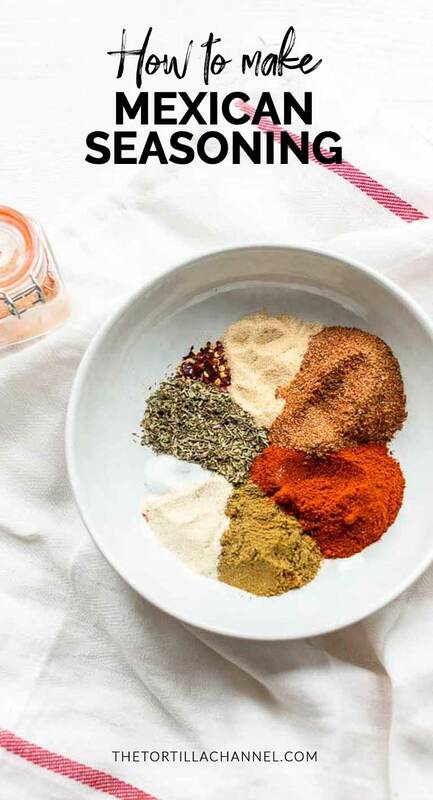 Looking for a great spice blend that you can use with tacos, enchiladas, burritos or fajitas? 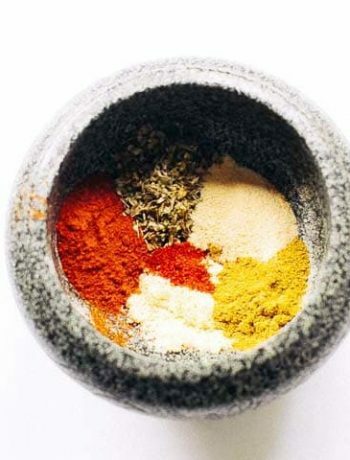 Try this Mexican seasoning it also great on regular recipes.